Make your Office Agile to Appeal to the Generation of the Millennial’s? That pesky generation that’s demanding beer taps, open plan offices and slides to be in the office before they’ll accept the job. Millennials are now the largest segment in the workplace. Companies are being told that if they don’t adhere to these ‘benefits’, they will risk having an outdated workforce. This will give them a competitive disadvantage. Well, you better get re-designing your office to install those slides then! But wait! We can’t forget about the older generations! Here comes the backlash against these changes brought about by those pesky millennials! How will the older generations cope with the noise of the open plan and the culture shock of having beer in the office?! I believe this is the definition of stereotyping! Why are we segmenting the wants and needs of employees by their age?! If you want to install a Table Tennis Table, you may have been warned that the noise from the ball hitting the table may annoy some of the older employees. Apparently, the ‘youngsters’ don’t mind this. If you can’t sense the sarcasm, we are exaggerating the point that obviously this would irritate anyone if they’re trying to focus, no matter what age! We don’t define people and their needs at work by gender or cultural background, and similarly it seems there is little evidence for making assumptions about the kind of work environment an employee wants based on their age. So why this constant focus on designing for the millennials and Gen Z-ers? Respectable companies are trying to categorise the new generations by valuing “diversity, living for their experiences and having a sense of holistic wellbeing”. They are also claiming they are “always in a rush and always on their phones” – a little contradictory, no? This just goes to show that you cannot understand someone based on their generation alone. Instead of trying to categorise people by generational stereotypes, what we should be focusing on is designing for different work preferences and personality types. In a study of 2500 executives from across the world, almost a quarter rated ‘intergenerational cohesion’ as the most significant risk their company faced. Why is this seen as a risk? It should be seen as an opportunity to work alongside people with different skillsets (not people of different ages!). 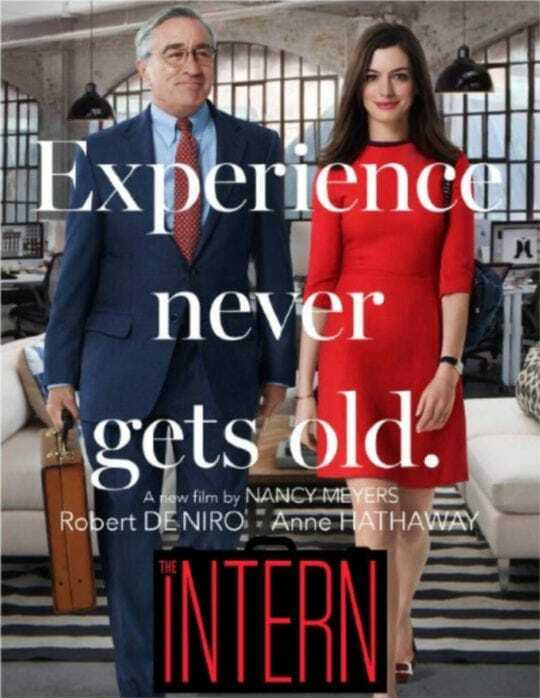 And if you want a light-hearted example, then add The Intern to your list of movies to watch! With millennial’s and now centennials making their way into the workplace, some businesses are looking to appeal to this younger generation, they could easily find themselves being blinkered into installing bars and games in open plan offices. And this is all because that’s what these generations look for in a job, right? Wrong. Let’s not go down this narrow-minded path and let’s instead design our workplaces for all ages. Let’s focus on the type of work they need to do and how they wish to do it to produce the most effective results!